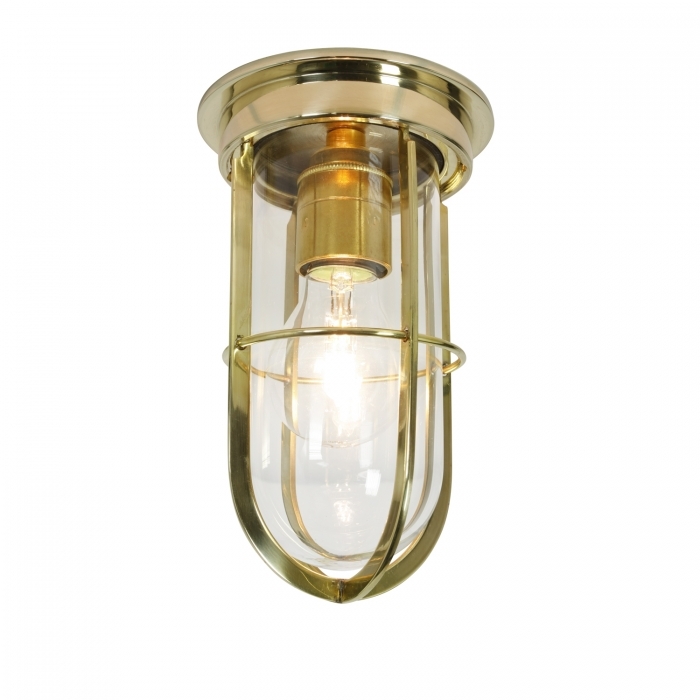 Angelo's Lighting sell a wide range of bathroom lighting in traditional and contemporary styles to suit all forms of bathroom design. 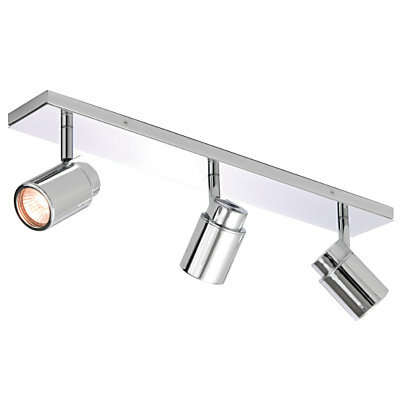 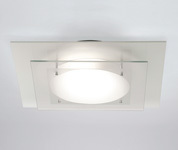 These include bathroom wall lighting, ceiling lighting, spot lighting, strip lighting and mirror lighting. 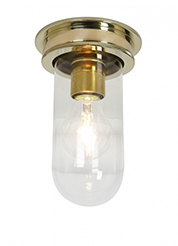 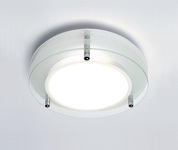 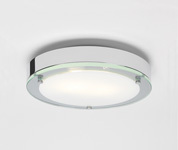 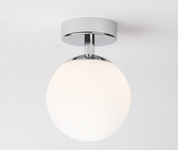 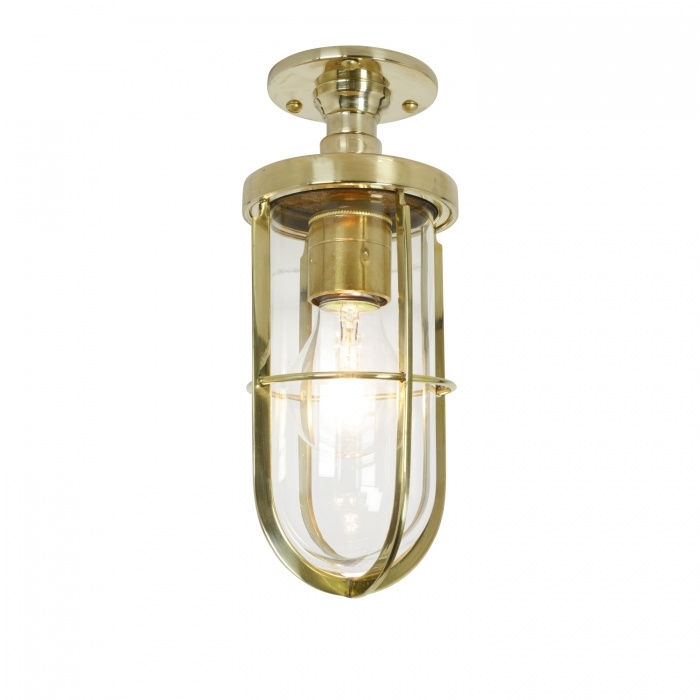 We have lighting ranges to suit bathrooms, shower rooms, en-suites, wet rooms and downstairs toilets. 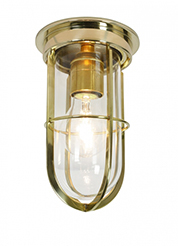 Angelo’s Lighting have a much bigger selection than can be found on our website, so come and visit us at our North London (N8) showroom. 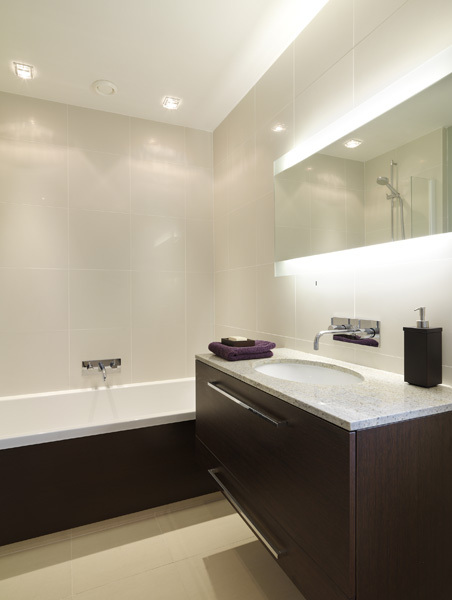 The smallest room in the home is generally the shower or bathroom. 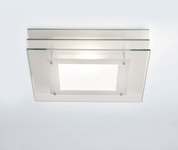 As these windows are often tiny, with frosted glass, they let very little light in. 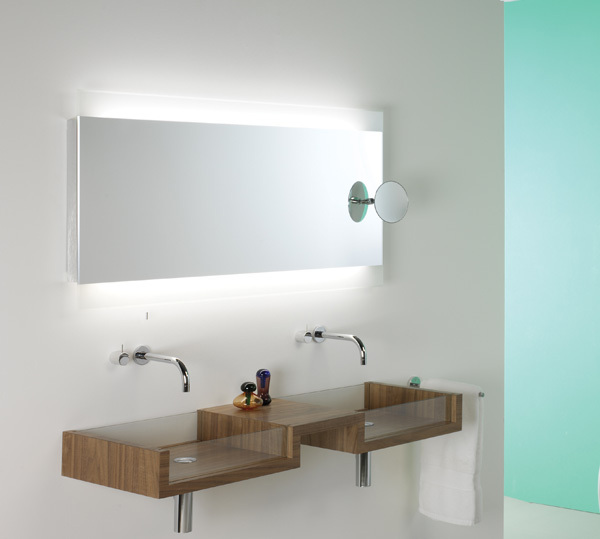 This makes it more important to choose the right bathroom lighting so you can see clearly especially early in the mornings and before bed. For an extensive selection of bathroom lighting, London-based Angelo’s Lighting have hundreds of domestic and commercial bathroom lighting to choose from. 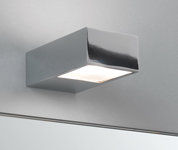 Bathroom Lighting London - click here to view the location of our lighting showroom in North London or contact us and we can take your order over the phone. 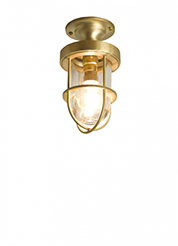 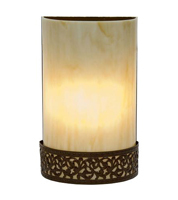 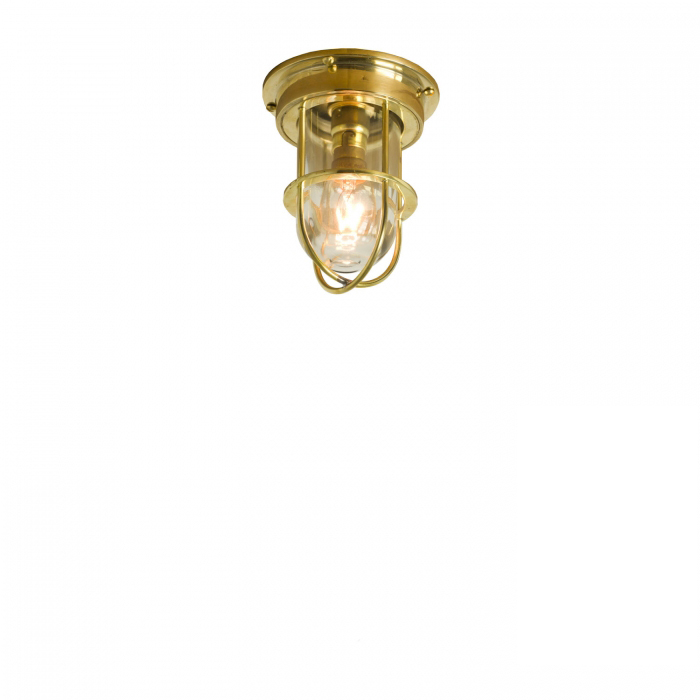 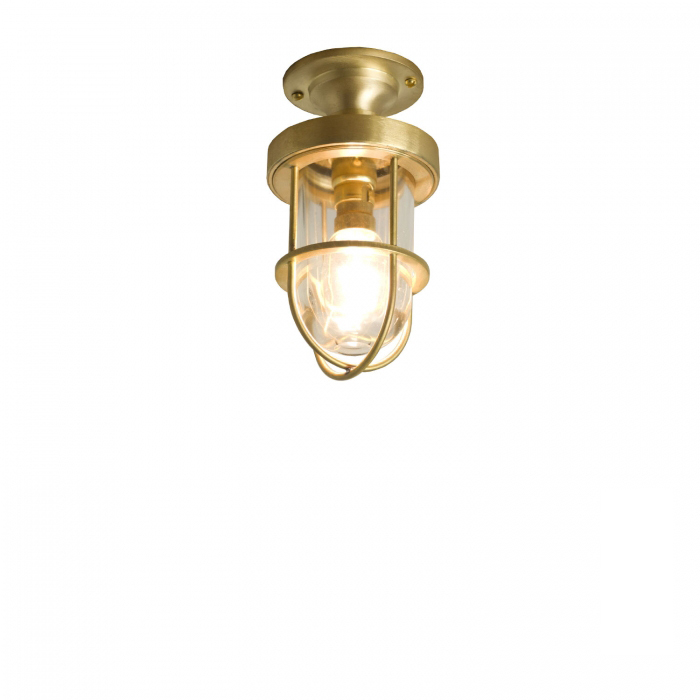 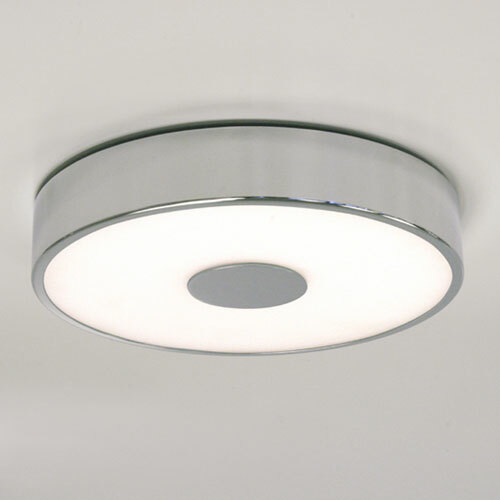 Spot lighting is a popular form of bathroom lighting as it is decorative as well as functional. 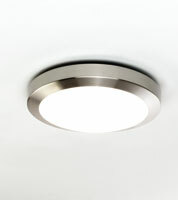 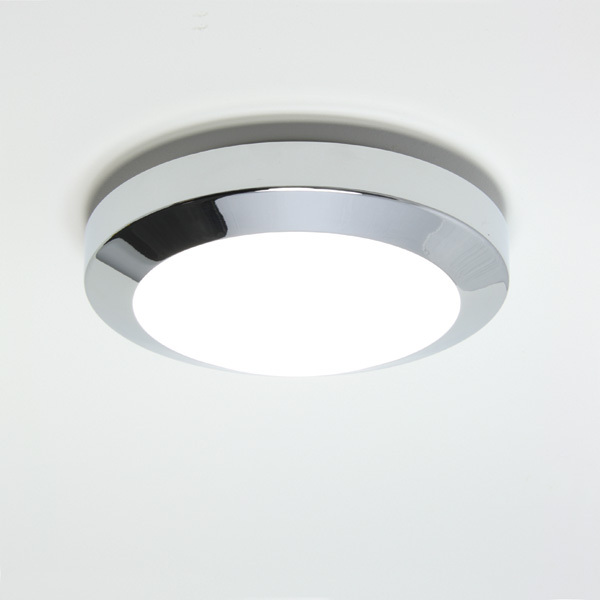 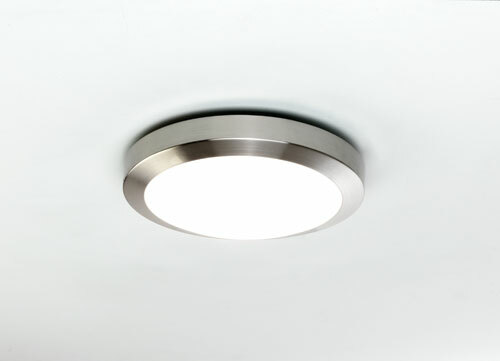 Spot lights can be recessed or track and come in a range of contemporary and modern designs which work well in any room. 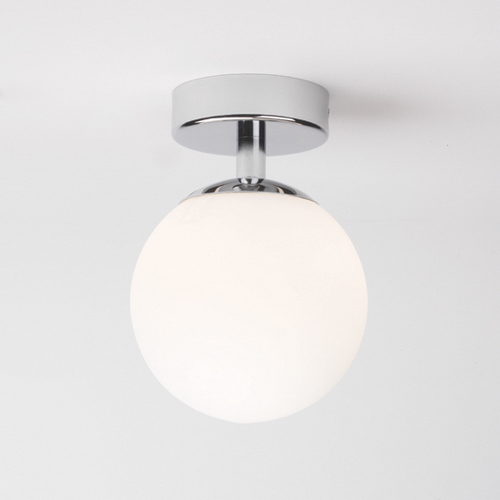 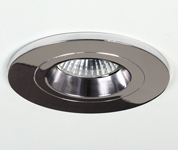 Spot lights fit with all bathroom styles and can be used as an alternative to single ceiling lights or wall lighting in family bathrooms, wet rooms, shower rooms, en-suites and pool rooms. 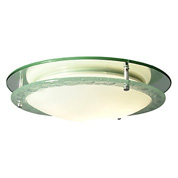 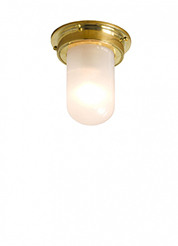 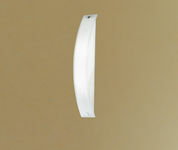 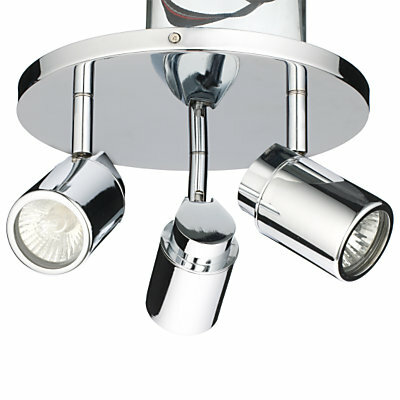 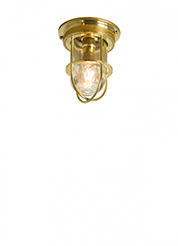 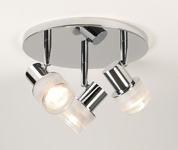 Ceiling lights are commonly used in bath and shower rooms, especially in smaller rooms such as en-suites. 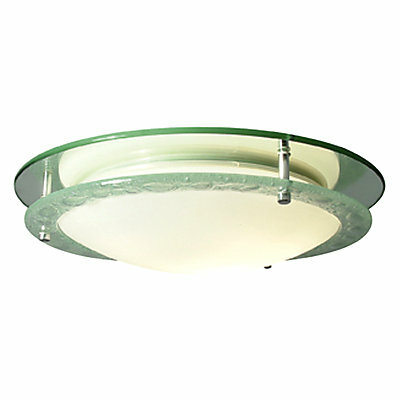 Traditional and contemporary style ceiling lighting is highly functional and can enhance the overall appearance of this room. 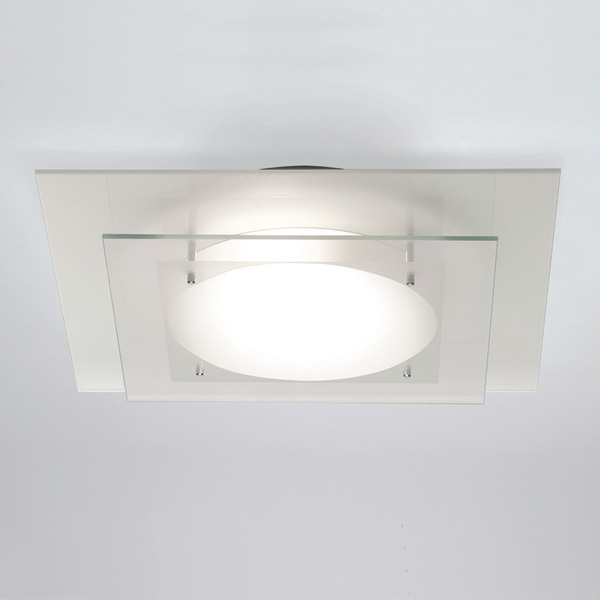 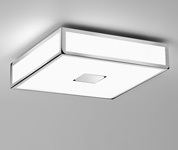 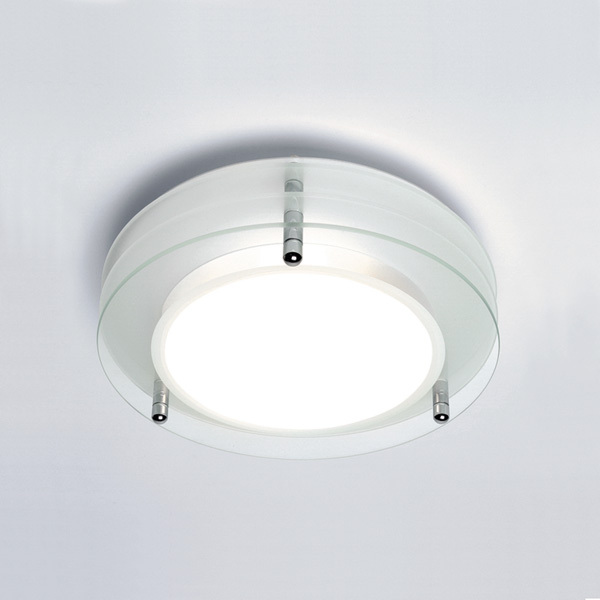 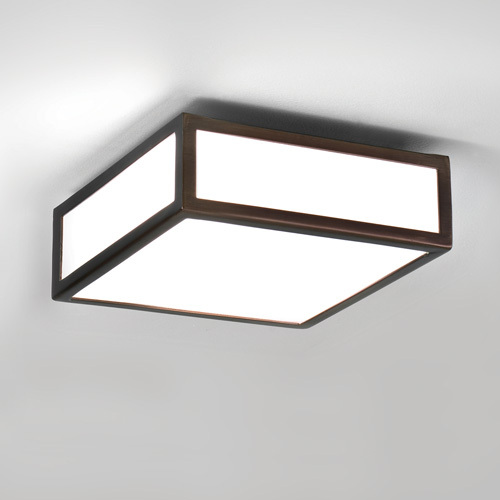 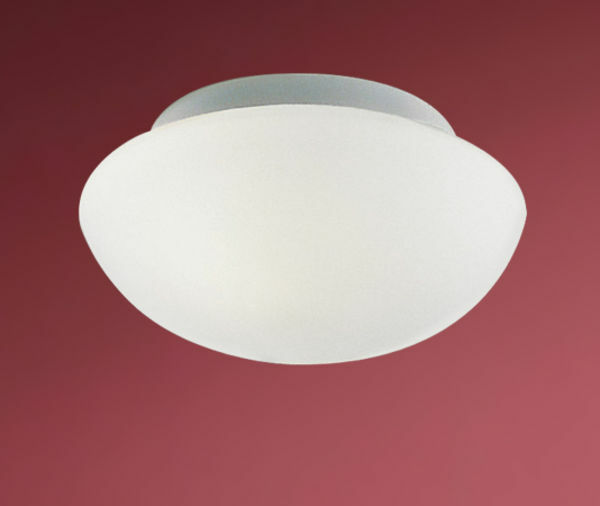 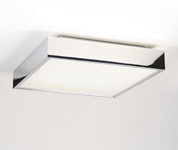 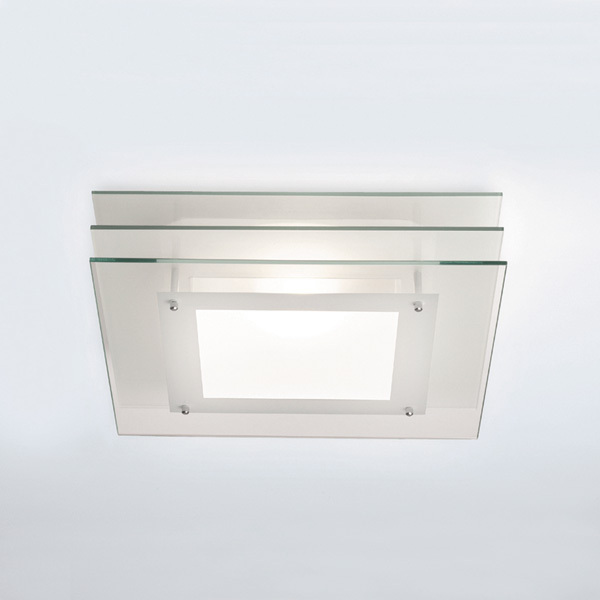 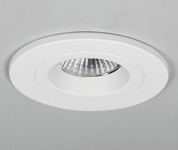 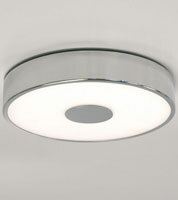 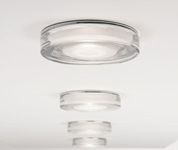 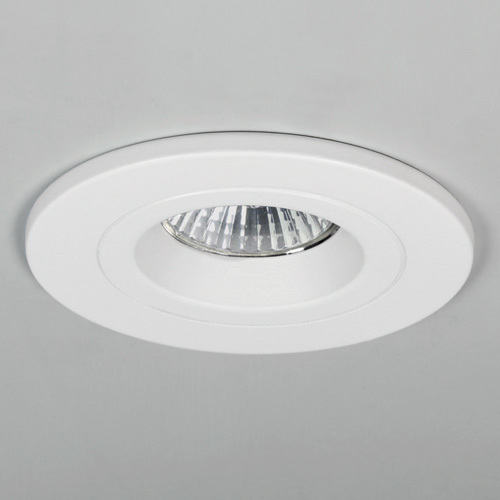 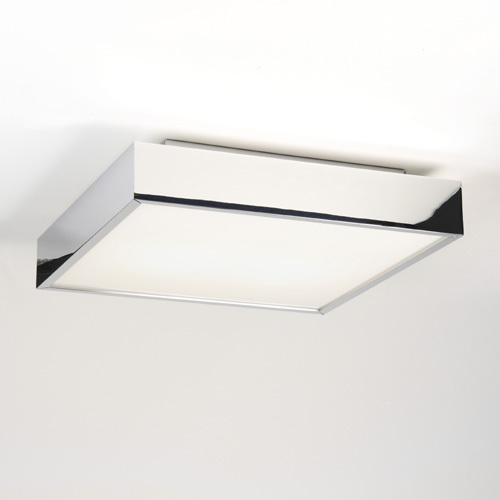 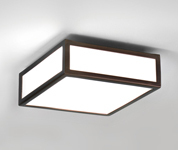 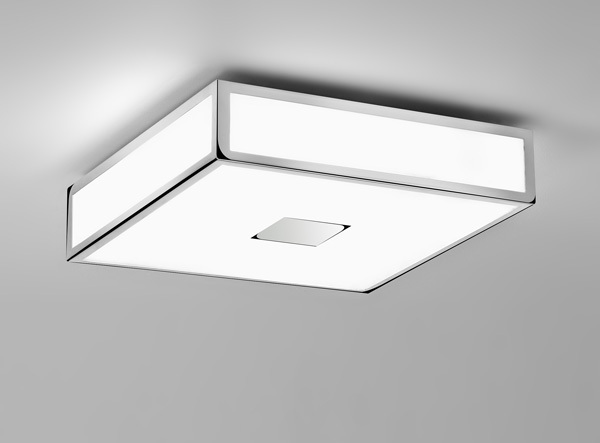 Bathroom ceiling lighting can be square, round or multiple and track or recessed. 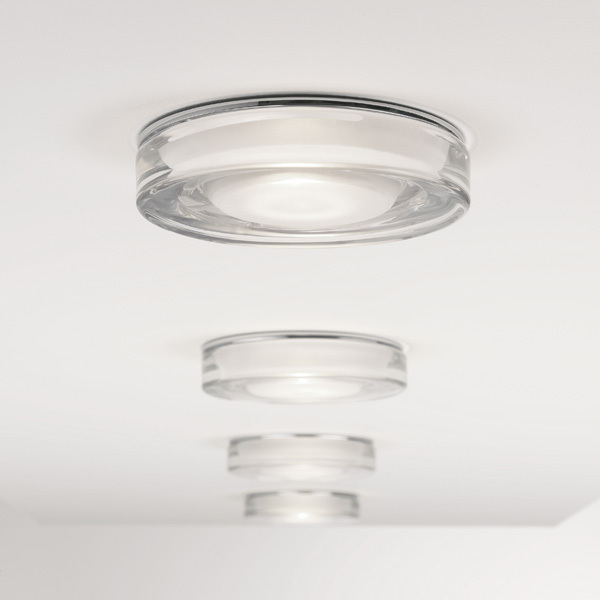 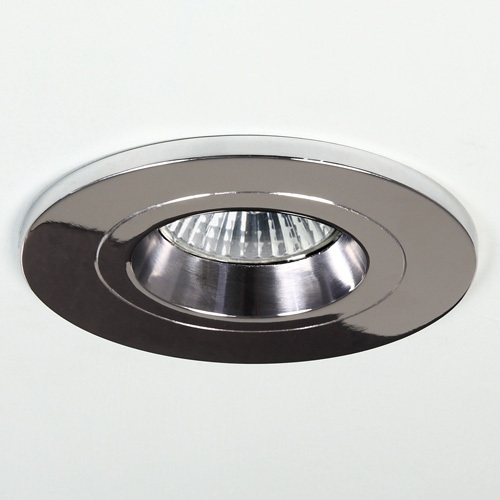 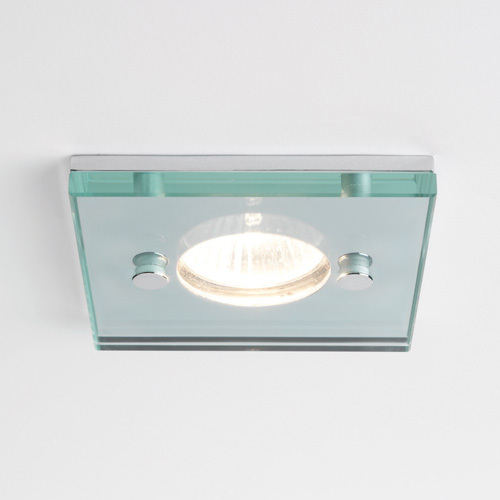 Recessed down lights are an attractive and popular form of bathroom lighting and look stunning in glass, chrome or aluminium. 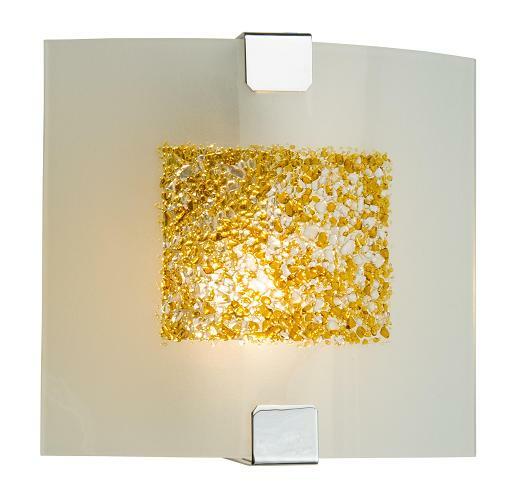 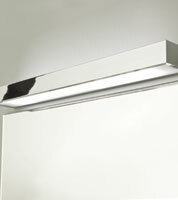 Bathroom strip lighting is very versatile and can be used on the wall or ceiling to create different effects. 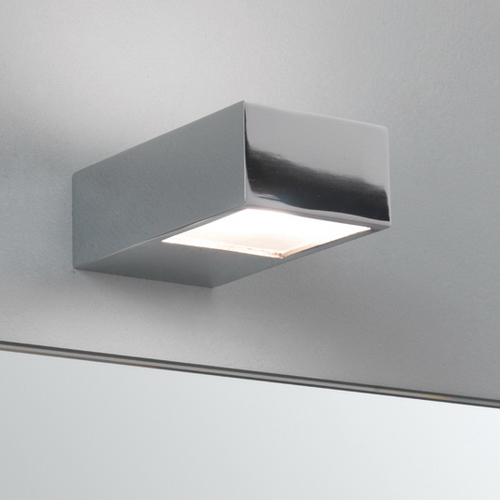 This form of lighting is ideal for bigger bathrooms and be used independently from wall lighting so you can change the glow to suit your mood. 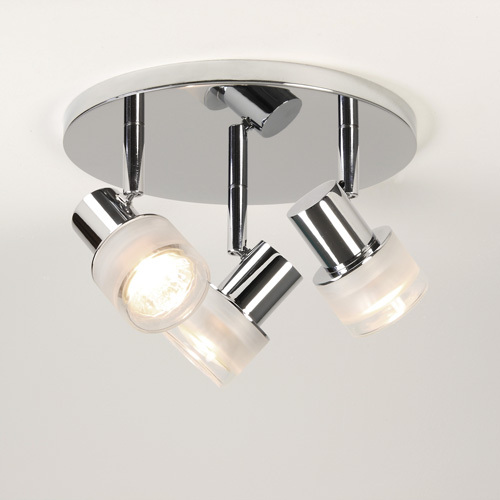 Use a dimmer switch with multiple strip-lighting to alter the brightness in the bathroom so you can turn it up in the morning, and dim it when you are getting ready for bed. 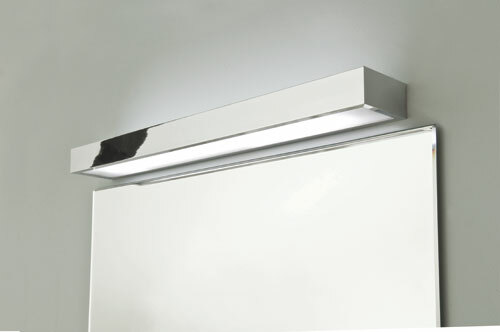 Single strip lights can also be hung above a mirror or vanity unit to provide adequate light for shaving or for applying make-up. 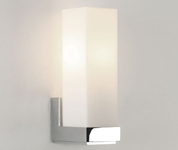 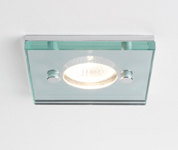 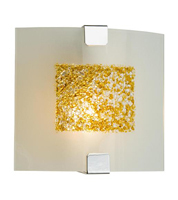 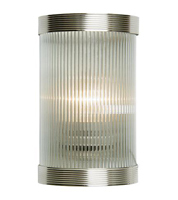 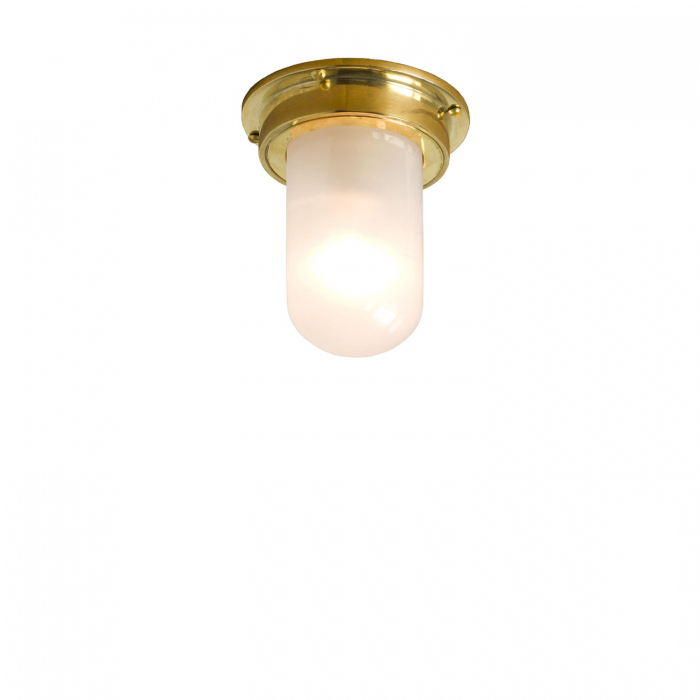 Bathroom wall lights in opaque or frosted glass can go above a sink or vanity unit to radiate a warm glow. 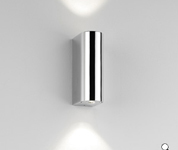 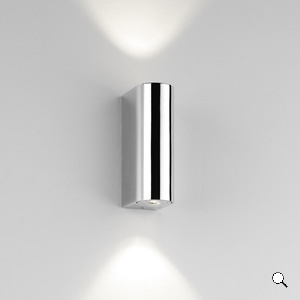 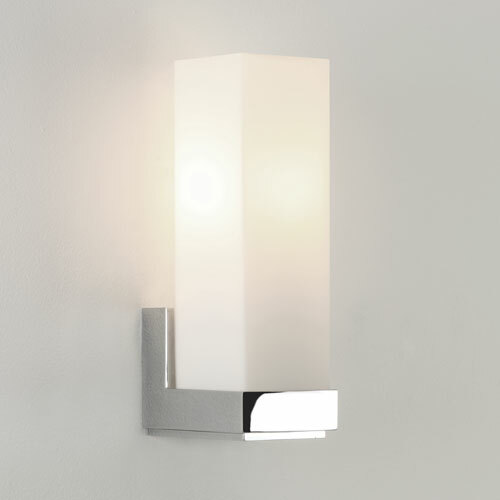 You can have a simple, minimalist or discreet style for a modern bathroom or choose a decorative wall light to create more of a feature in a traditional bathroom. 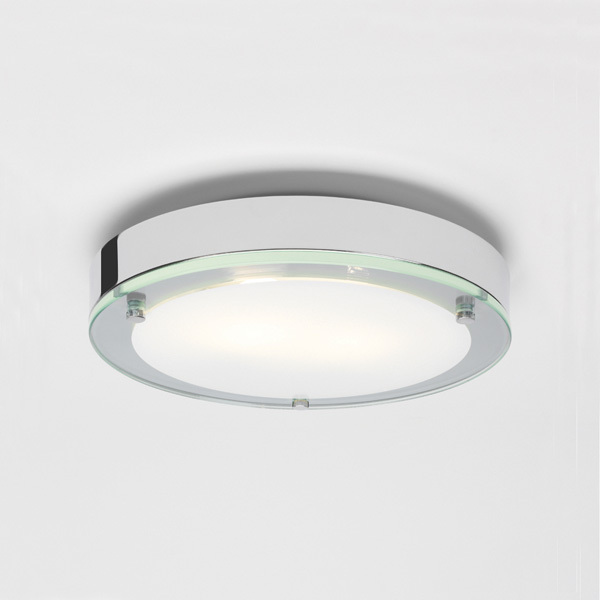 Chrome strip lighting looks simple and stylish, or for a more traditional look, choose a wall mounted light with a white or frosted glass shade and a polished chrome fitting. 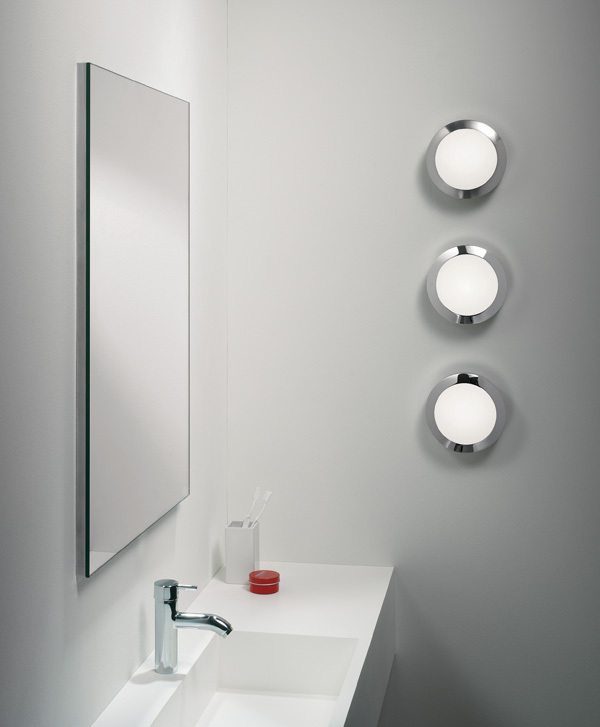 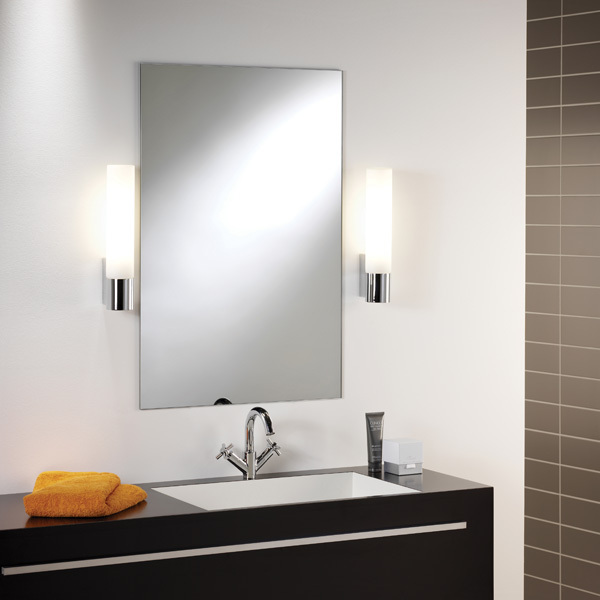 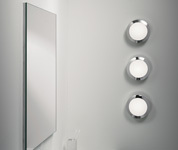 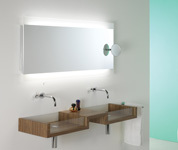 Mirror or task lighting is vital to create enough luminosity for daily personal hygiene and beauty routines. 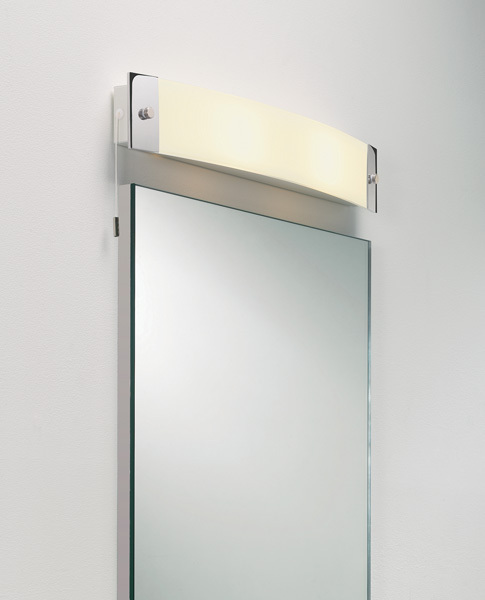 Strip lighting above a mirror is a popular option and can be used independently of the main light, but will not eliminate shadows on the face. 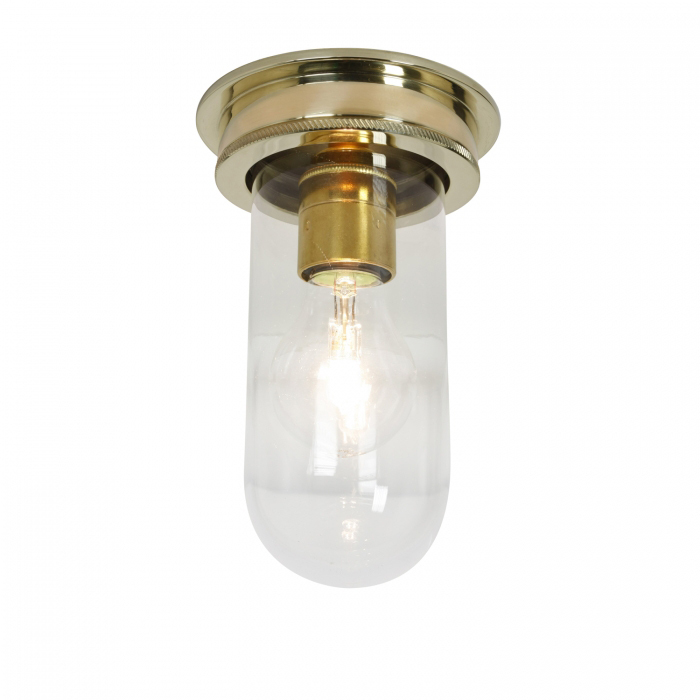 Round bulbs placed all around the mirror (Hollywood style) adds a glamorous touch to your bathroom and the bulbs provide a flattering glow. 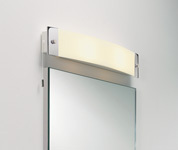 Strips placed vertically on either side of the mirror can minimise shadows on the eyes, nose and chin as they surround the face with light and provide just the right amount of illumination for the task in hand. 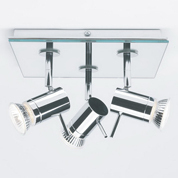 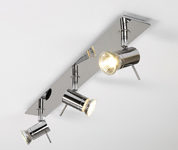 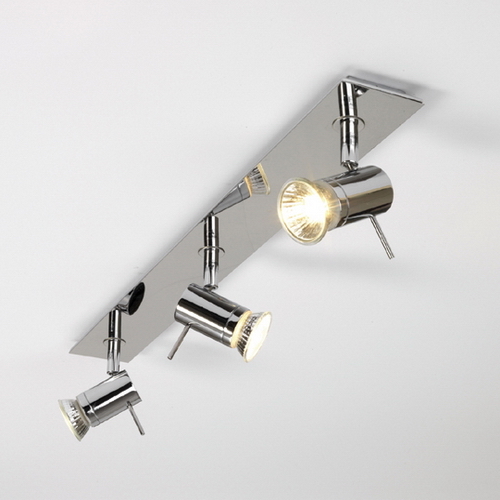 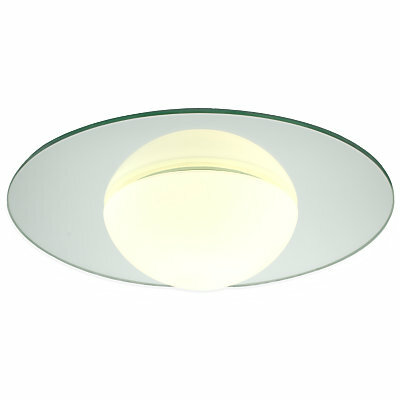 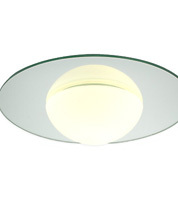 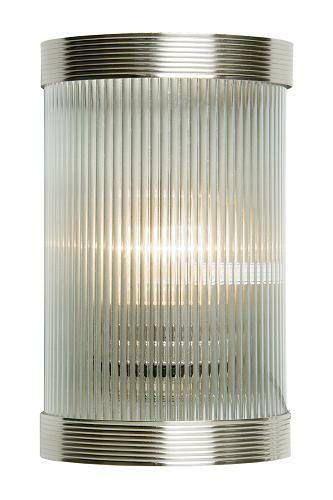 Angelo’s has a range of stylish modern and contemporary mirror lighting to suit all bathrooms. 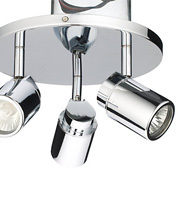 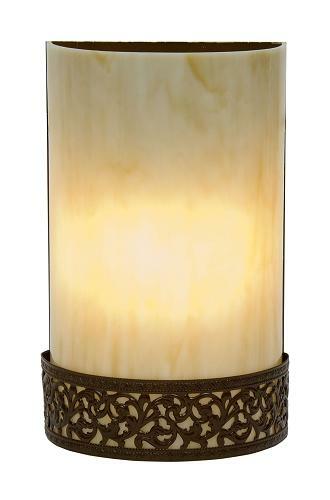 We have 1000's of Bathroom Lighting design's in our showroom!